The ARC Conference Committee recently brainstormed ideas for workshops and tour stops. There are some definite “knowns,” including the dates – June 18-20. 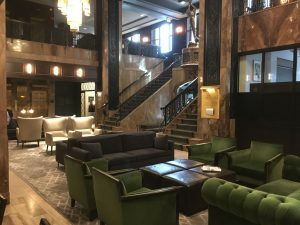 The historic Phillips Hotel in downtown Kansas City will serve as the conference venue. Lobby of the Hotel Phillips. The board meeting is slated for Tuesday, with a reception at AdFarm for those in town by late afternoon. A day of learning via ARC workshops will be held Wednesday and will include the Hall of Fame Luncheon, as well as an evening reception at Sage offices. We thank both Kansas City marketing communications agencies for stepping up during our meeting with receptions for our members. Tours will be offered on Thursday, followed by the venerable Golden ARC Awards Banquet. The Kansas City Animal Health Corridor, anchored by Manhattan, Kan., and Columbia, Mo. Two establishments in the fermenting business – ag commodities at their best. More ideas will come and some may change or develop, but the committee has our members’ interests in mind. We want to offer a unique, professional and educational conference that is not only informative but also enjoyable. Stay tuned for details in the spring ARC newsletter or in your e-mail inbox. The committee is thinking of themes, but if you have a great one revolving around Kansas City and ag public relations, please share! E-mail ideas to cowcamp@vcn.com or kristymach@gandgcomm.com. 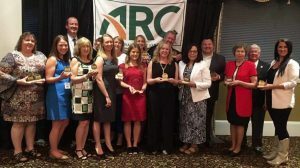 Since the 1950s the Agricultural Relations Council (ARC) has existed to serving the unique needs of public relations professionals working in agriculture, food, fiber and other related industries. ARC, as its members all know, is the conduit for problem-solving, idea-sharing and collaboration among members, who share a passion for excellence in public relations. To better secure the future of ARC, the organization has created an endowment and beginning a plan to fund it. And it is pleased to announce that Charleston|Orwig and Gardner & Gardner Communications are the first two marketing communications companies that have committed to support this effort. Lyle E. Orwig is contributing $5,000 per year for 10 years for the ARC/ Charleston|Orwig Scholarship Program. G&G is increasing its current commitment to the ARC/Gardner & Gardner Communications Internship Program from $3,000 to $5,000 per year for the next 10 years as well. These are just two of the ARC programs designed to promote careers in ag public relations that are being endowed. There are many other opportunities listed below for other to consider that will help ensure the long-term future of ARC and its programs and activities. In the early years of the endowment, funds will be used to grant the annual scholarship and provide the dollars for the intern each year for ARC. The remainder of the dollars will be put in the endowment and grow to eventually fund the programs in perpetuity. In the next six months, Gardner and Orwig will contact interested persons and groups about long-term funding for many of its programs and events. There are several ongoing activities and options from which to choose or create. The Agricultural Public Relations Hall of Fame, sponsored since its beginning by ARC and Agri Marketing magazine. ARC is hopeful to continue its long-term relationship with Lynn Henderson and his company. Funding our keynote speaker/workshop presenter each year at our annual conference. Funding the ARC Thursday farm tour each year at the annual meeting, which could be branded with a company name. 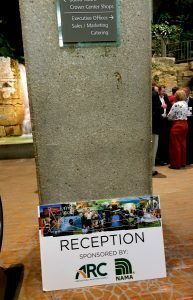 “Presenting Sponsor” of our annual Golden ARC Awards program. In other words, it would be titled: The Golden ARC Awards, presented by (insert company/person here). Creating a new program that honors a Young Professional (35 and under) each year for excellence in overall ag public relations. A yet to-be-determined program idea conceived by one of our legacy members. 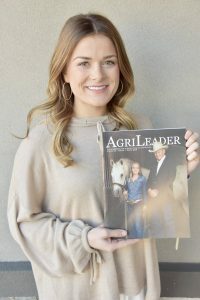 ARC has grown from about 10 members 10 years ago to more than 125 professionals, plus ARC has provided free memberships to those students belonging to Ag Communicators of Tomorrow as well as its collegiate advisors. Quadrupled the operating budget, allowing us to do many of the items below. Yet, this is still a very small annual budget for a professional organization of ARC’s size. Grown sponsorships of the organization from zero revenue to more than a third of our revenue. This has been mostly from marketing communications agencies and media companies. Created the Agricultural Public Relations Hall of Fame – the only lifetime recognition program for ag PR professionals. Eleven marketing communications professionals, plus the founders of ARC in the 1950s, have been inducted since the program began in 2012. See website for those inducted. Re-instituted a scholarship program for college students (5 years now). Developed a unique internship program that is a collaboration between Gardner & Gardner Communications (majority funding) and a member firm that serves as the host/location for the internship. Because of our scholarship program and internship program we’ve been able to work closely with the Ag Communicators of Tomorrow (ACT) to educate and inform them about careers in ag PR. Collaborate with AMS on a silent auction (and a sponsor of the 2019 IFAJ/AMS joint meeting in Minneapolis); and NAMA on a reception at the NAFB Convention. 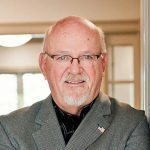 Helped facilitate, with John Blue leading the effort, an outstanding five-part webinar series annually to provide online professional development. Any individual or company interested in contributing to the ARC Foundation Endowment but not specifically tied to a program would of course be welcome to contribute funds as well. Create an endowment that grows to the level to solely support five of the programs above so that the annual meeting registration costs can be kept lower to allow more individuals the affordability to attend, thus leaving more dollars to maintain top notch programming and speakers. Extend the legacy/endowment recognition beyond Lyle and Den by enlisting a few additional veteran public relations practitioners who are committed to ARC. Yes, our hope is to put YOUR name behind one of these programs. For more information on how to begin an endowment with ARC, please contact Executive Director Den Gardner at: arc@gandgcomm.com. Have you delayed renewing your ARC membership? There are many reasons to renew in 2019. Join the more than 120 members who are committed to excellence in agricultural public relations. Our popular ARC webinar series. Members can listen in for free! Our annual meeting, in Kansas City this year, will provide the best ag public relations workshops and seminars that you’ll find in the ag communications world we work in. Renewing memberships as a group provides tremendous savings for your organization. Perhaps this year, you’ll even consider increasing your organization’s presence in ARC by adding more members. And we have made that even easier to do by continuing our Young Professionals Program again for 2019. With every two paid memberships from an organization, you get a FREE Young Professional membership! (YP must be 35 years or younger). ARC membership is $190 per year for the first member and $115 for the second and all subsequent members. Now, with the Free YP program – you can get 3 memberships for only $305! Please contact Membership Director, Kyle Wieskus at kylewieskus@gandgcomm.com to take advantage of the Young Professional program. ARC will also continue to offer the special $100 rate to state Farm Bureau or Commodity Group Members. Please note that online registration and payment at this special $100 rate is not available. Please contact me, Kyle Wieskus, membership director, directly at kylewieskus@gandgcomm.com. Please don’t hesitate to contact the ARC office with any questions about your membership. We look forward to having you on board again in 2019. As many of our PR professionals know, NAFB’s Trade Talk consists of long hours and lots of running on behalf of employers or clients. That is one reason ARC joined the National Agri-Marketing Association (NAMA) to co-sponsor a reception for the organizations’ hardworking members and prospects. 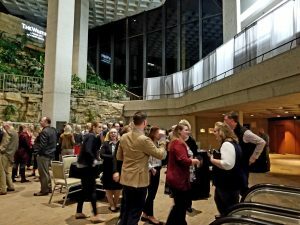 Nearly a hundred professionals attended the late afternoon reception, held Wednesday November 7 at the Westin Kansas City at Crown Center. This was the second annual cocktail hour hosted for ARC and NAMA members. ARC’s official photographer, Deron Johnson of FLM Harvest, snapped a few photos of the successful meet-up. 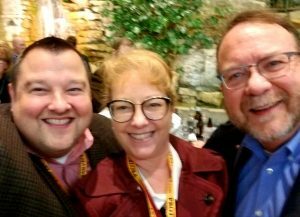 ARC and NAMA meet-up at NAFB. The Agricultural Relations Council (ARC) is pleased to announce year five of its scholarship program for college students studying ag communications. The organization, through its foundation and a grant from Charleston|Orwig, will grant one, $1,500 scholarship for the 2019-2020 school year. The scholarship is funded through the ARC Foundation thanks to donations from many members and hall of fame recipients. Students will have until March 15, 2019, to submit their applications. Notices of the scholarship program will be sent to universities in January announcing the program, and will also contact the Ag Communicators of Tomorrow (ACT) students through its state chapters. Click here for more details on the ARC Scholarship. Maddie Bezner, the 2018 ARC intern at NCBA. The internship is unique in ag communications in that it is a collaboration of the organization (ARC) and the host company. The ARC portion of the funding comes from a grant from Gardner & Gardner Communications to the ARC Foundation. ARC will coordinate the internship program and selection. Internship will be worth a total of $5,000 — $4,000 stipend and $1,000 to be used to attend the annual professional development meeting of ARC – to be held June 20 through 22 in Kansas City, MO. The intern will spend 80% of his/her time on host organization projects and 20% to support and attend the ARC annual meeting. The internship will be 10-12 weeks long. Student intern applications will close Feb. 28. The intern will be selected and notified by mid-March. Intern will be chosen by a representative of the hosting organization, along with a representative of Gardner & Gardner Communications and one board representative. For more details on the internship, click here. Deadline to enter is April 12, 2019. It’s time to start thinking about your best work from 2018. The Golden ARC Awards contest will be open before you know it. The Golden ARC Awards contest honors the stellar work created by professionals in the agricultural industry. The format and requirements for the Golden ARC Awards are similar to other leading PR awards programs, based on best practices for public relations and public affairs campaigns and tactics. 2018 Golden ARC Award Winners at the ARC Annual Meeting, Louisville, Kentucky. Entries may be submitted until April 12, 2019 at 11:59 p.m. EST. Entry fee per CAMPAIGN category is $125 and per TACTIC category is $75. Winners will gather and share in their accolades at the ARC annual meeting, June 18-20 in Kansas City, Missouri. The Golden ARC de Excellence award for the best all-around entry in the campaigns division will also be presented at the awards dinner. The Golden ARC Awards Program began in 1990 and came to be recognized as the most esteemed award in the agricultural public relations industry. The restructured Contest reflects the many hats worn by today’s PR practitioner – with categories recognizing everything from full campaigns to tactics such as media relations and innovative new uses of social media. The Golden ARC Awards contest honors the stellar work created by professionals in the agricultural industry. The format and requirements for the Golden ARC Awards are similar to other leading PR awards programs, based on best practices for public relations and public affairs campaigns and tactics. For more information, check out the Golden ARC Awards page.